The HAH project came about because we were always interested in having a flexible Home Automation controller, but didn't want either the expense of an 'always on' PC or to pay the high price for a dedicated commercial HA controller. The unit at the core of the HAH is a re-purposed router. The project has developed a complete replacement for the operating system on this router and introduced a number of custom features - see the above diagram for a visual summary of the features. 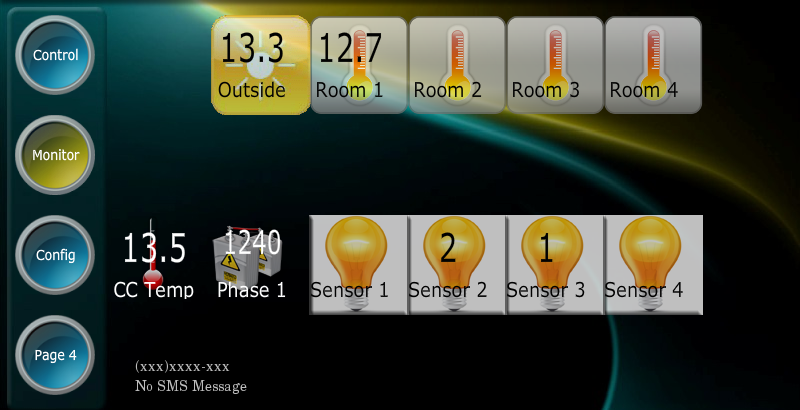 The main User Interface to the HAH is designed for browser based access. Alternative access methods include Twitter, SMS, Google Calendar and custom scripting. The custom HAH hardware allows control of relays, reading of inputs and temperatures as well as control of a number of RF mains devices. RF control is really handy as it reduces the need for cable runs. If you want a really cool touch screen UI, the HAH can be fronted by a Joggler. 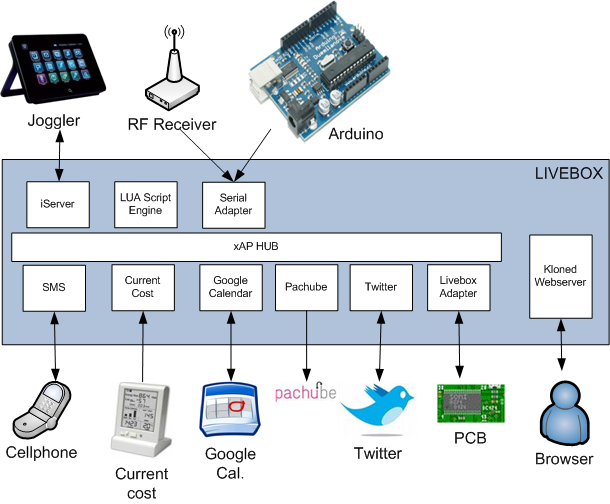 Data logging to the internet is possible from the HAH via the Pachube capability. HAH custom control functionality is available to the more advanced user via the built-in scripting capability. As the Project gathered pace, we prepared detailed notes on the Project wiki. All the HAH software is Open Sourced. The custom hardware can be bought from the Project shop. The HAH Project is a 'living thing'. We work to add new features and to expand existing ones. Some of the more advanced features on the HAH might take you a little time and effort to fully understand ... but the learning is fun and there are friendly folks on the forums to help you get to where you want to be. If you have always wanted to experiment with HA, but have been put off by the cost or the difficulty in 'getting started' the HAH is a low entry price and low risk way to get up and running with your very own HA system. Its finally happened! We have got the HAHnodes in the Shop. We still need to put up a decent wiki page on how to assemble these but from the various pictures of assembled units, build notes and the silk on the PCB ... it's not too hard to figure out.